Should your business or website be listed on this page? If so give us a shout and let us know about it. Peachtree NORML is working to reform antiquated marijuana laws in Georgia. Leafly contains arguably the most comprehensive strain database on the internet and features an outstanding dispensary locator app to help you quickly located medical or recreational marijuana in your area. Law Enforcement Against Prohibition, or LEAP, is a non-profit, international, educational organization dedicated to ending the war on drugs. LEAP provides a unique perspective, as all of its speakers and representatives are either current or former law enforcement officers, judges, prosecutors, federal agents and military police officers. Lanier Tech Pros is an online marketing company located in the mountains of north Georgia. Lanier Tech Pros specializes in custom responsive website design, WordPress web design and creating highly functional, stunning eCommerce websites and online stores. Minorities for Medical Marijuana is a Florida-based 501(c)(3) non profit organization with 15 chapters located throughout the country. The mission of M4MM is to provide advocacy, outreach, research and training as it relates to the business, social reform, public policy, and health /wellness in the cannabis industry. This moon rocks marijuana recipe from StonerCentral shows how easy it is to boost the effectiveness of your weed by covering it with cannabis oil and rolling it in kief. Perfecto! 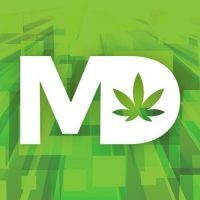 Great page with a list of medical benefits for marijuana users. Based in Port Richey, Florida the Magical Butter Machine has become a staple in the homes of thousands of patients who want to create their own infusions and tinctures. MBM is a public benefit corporation, meaning a portion of their profits are designated for charitable purposes. Simply Kind Solutions is an emerging leader in the Human Capital services industry, which harnesses the power of technology to deliver complete and total staffing solutions to organizations of all sizes, exclusively catering to companies within the cannabis industry. Customers looking for the highest quality hemp based CBD oil, CBD topicals, pet products or other CBD related products should look no further than Copper Mountain Hemp Traders. If you are interested in buying or selling a home in DeLand, Deltona, Daytona or anywhere in Volusia County give David a call.